What you eat can affect many areas of your health, from your mood to your sleep quality to your ability to concentrate. 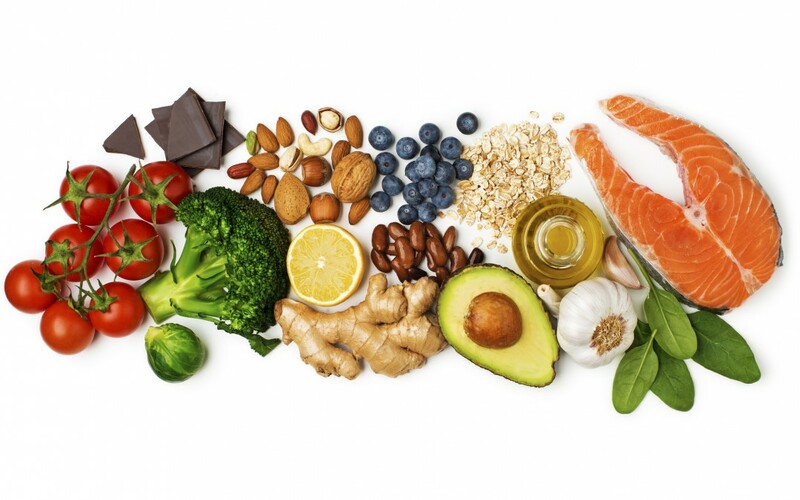 As you’ll see in this blog post, your body needs a wide range of vitamins, minerals and other nutrients to keep you in great physical and mental condition. Navigating what to eat can be especially tricky if you have hypothyroidism and/or Hashimoto’s disease. With all the conflicting advice, no wonder people get so confused! Here’s how your food can affect your mood, sleep, concentration, and even your chances of developing depression. Find out how to nourish yourself for optimal health. If your blood sugar fluctuates too wildly, it can leave you feeling tired and irritable. Get off the blood sugar rollercoaster by enjoying foods that keep your blood sugar stable. Ideally this includes a combination of protein, healthy fats, and non-starchy vegetables. Nuts and seeds are great options, assuming you’re not sensitive to them. Some foods can have a direct impact on your mood. For example, fatty fish like salmon (preferably wild caught) is packed with omega 3 fatty acids that affect the production of neurotransmitters in your brain, especially serotonin and dopamine. Low levels are linked to mood disorders. You can also get an omega 3 boost with flaxseed, chia seeds, and walnuts. For dopamine, make sure you’re getting plenty of poultry, fish, eggs (if you’re not sensitive to them), and leafy greens in your diet. Protein is another nutrient that can affect your mood. Many foods with protein contain tryptophan, an amino acid that helps your body produce more serotonin and dopamine. Chicken and turkey are good sources but if you’re a vegetarian, eat beans, lentils and quinoa to reap the benefits. What you’re not eating can also be important. According to studies, insufficient folate or B vitamins can make you more prone to depression and have a negative impact on your sleep and energy levels. Greens are a great source of folate, so be sure to include plenty of leafy greens, broccoli, and peas if you’re struggling with low mood. Low selenium levels are also linked to fatigue, anxiety, and even depression. Snack on a small handful of walnuts or enjoy Brazil nuts (2-3 is plenty) to improve your selenium levels. Depression is linked to chemical imbalances in the brain and some nutrient deficiencies are thought to make this more likely. For example, low levels of vitamin D are linked to a higher risk of depression and experts believe that getting enough vitamin D can be crucial for a healthy mind. Natural sunlight is the best option but you can also get vitamin D from your diet through fatty fish, eggs, and liver. This is a good option when the sun isn’t out in colder climates. What you eat can also have a big impact on how well you sleep. Foods that contain magnesium are a good bet to encourage sleep, according to studies. Need a magnesium boost? Go for leafy greens (especially spinach), almonds, pumpkin seeds, sunflower seeds, and a high quality dark chocolate. Don’t you love having a great reason to eat chocolate? Keep it to a square though, and buy chocolate with 70% or higher cacao content. Another important nutrient is vitamin B6, which your body uses to make both melatonin and serotonin. Melatonin is known as the “sleep hormone,” which gives you an indication of how important it is for sleep! Turkey breast, grass-fed beef, pistachios, and avocados are good sources of B6. Tryptophan helps here too (not just with mood) as it helps your body to produce melatonin. Chicken, turkey, milk (if you’re not lactose or casein intolerant), nuts, and seeds all contain tryptophan. According to a study from the University of Texas, walnuts actually contain melatonin. One of the most common struggles that plague my hypothyroid and Hashimoto’s clients is brain fog. Problems with concentration, focus and memory? Find allies in the grocery store. A 2013 study found that people who drank 2 cups of cacao every day for a month improve blood flow to their brains, which led to better results in memory tests. If you’d rather not drink a cup of cacao, a square of high quality dark chocolate (minimum 70% cacao) can have a similar effect. Just steer clear of chocolate that’s high in sugar or other additives. You don’t want it to backfire and end up on the blood sugar rollercoaster again! In a 2012 report, drinking blueberry juice daily for two months also led to better performance on memory and learning tests. Need a focus boost? Snack on blueberries. Another gold star for salmon as its omega 3 fatty acids can reduce cognitive decline and keep your brain sharp. Just one more reason to eat fatty fish a couple of times per week. And of course, don’t forget water. Dehydration causes fatigue and concentration problems, even if you’re only slightly dehydrated. Drinking a glass of water could be the perfect ticket to get more focused. Also, often times we confuse hunger pangs with the need for hydration. Now that you know how food impacts your mood, sleep and brain, what will you add to your plate this week?